Hello everyone! 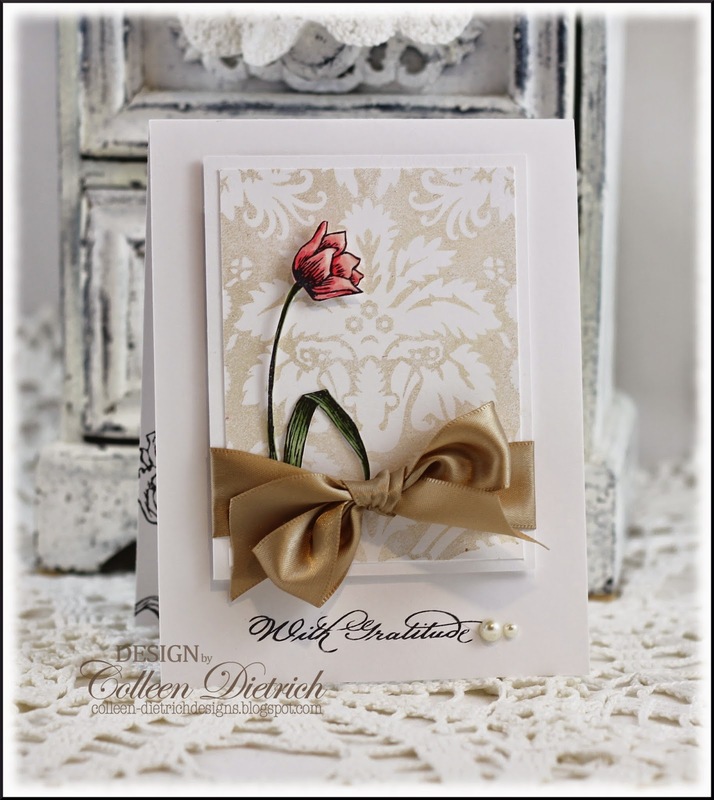 I could swear that I posted this card before, but cannot find it on my blog or Pinterest board. Geez, that's what happens when: a) you are getting older and memory becomes fuzzy, and b) you've written waaaay too many posts on your blog (um, 895. Ahem.). 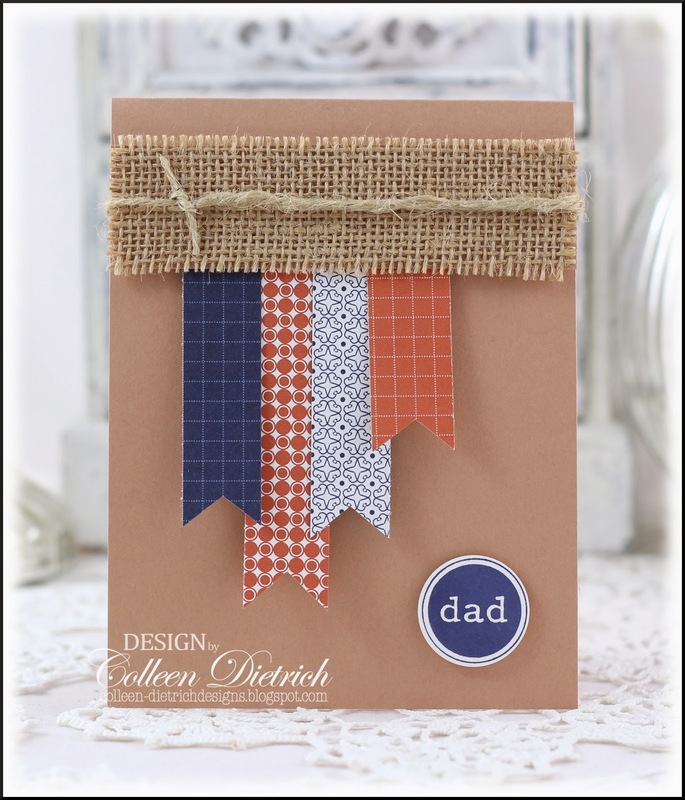 The story with this card: I happened to use up some scraps that were lying together, and a Father's Day card was born in early January 2014. 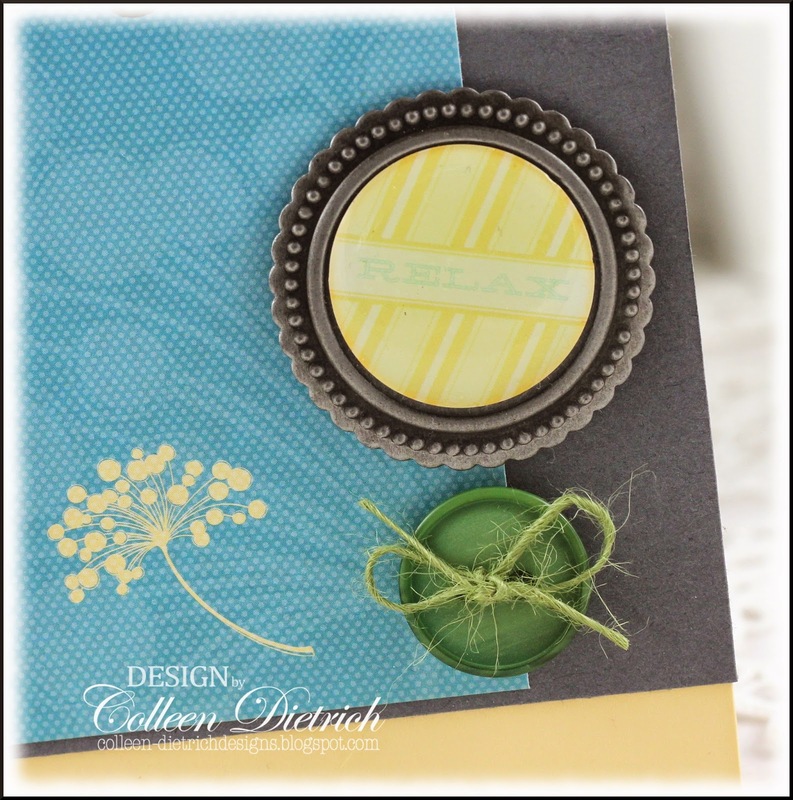 I used a sentiment stamp from Lizzie Anne Designs 'Dream Big' Monthly Mix May 2010. I received the set back when I designed for the Play Date Cafe. I glued a strip of burlap onto a scrap of caramel cardstock first, and was then able to prop it up with foam dimensional stickers. Before adhering, though, I tied on some garden jute twine. 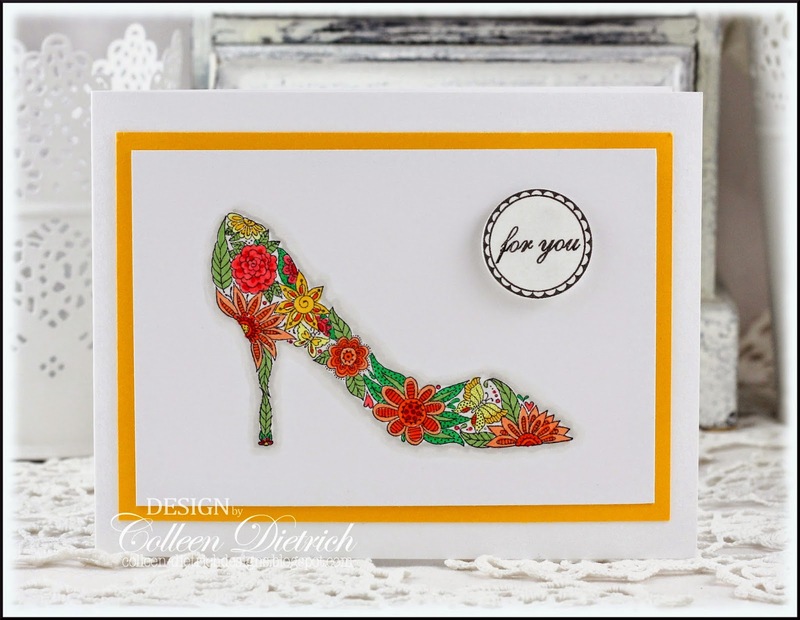 I'm back tomorrow with a feminine card, as part of a special blog hop. Hope you'll join me then! Hello all! 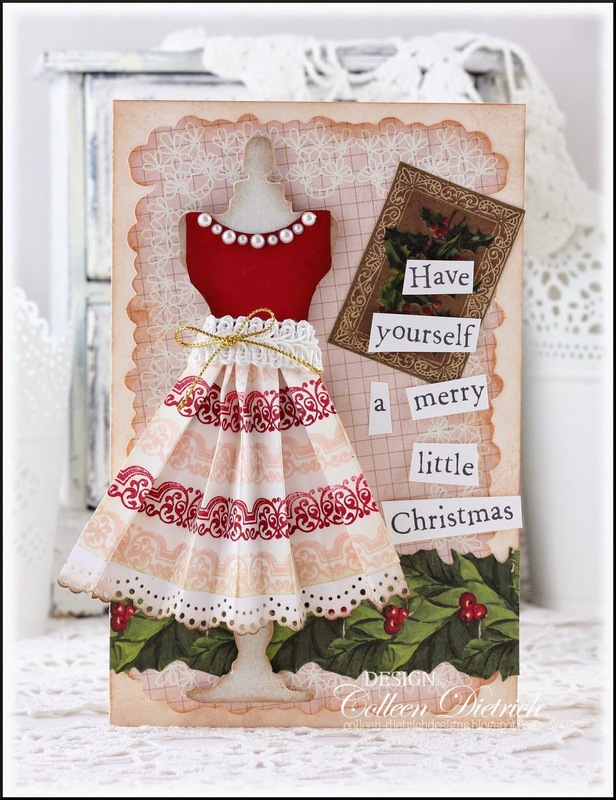 I'm super-late in sharing this card, which was published on page 61 in Paper Crafts Magazine's Holiday Cards & More, Volume 8 - Summer 2013. Just never got around to it 'til now! 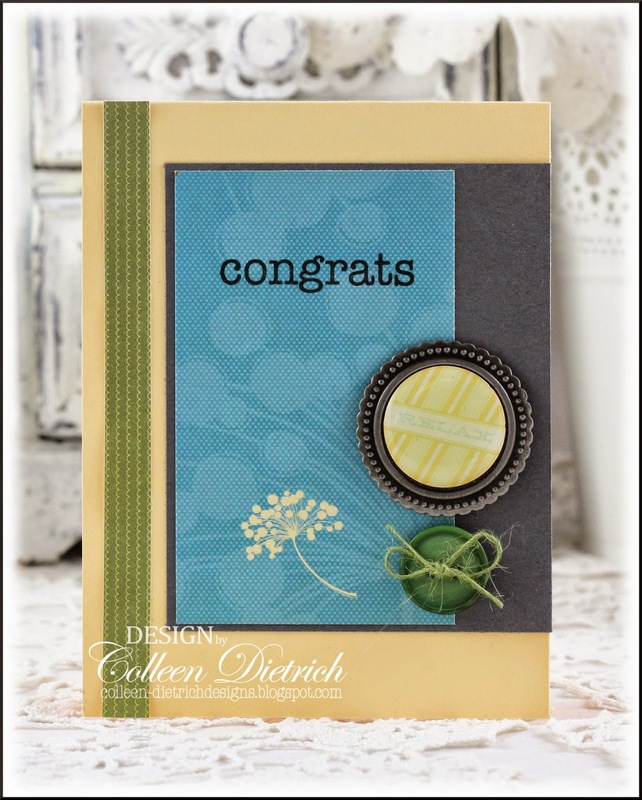 Still lovin' my Market Street Stamps background stamps. This one is Gingham. 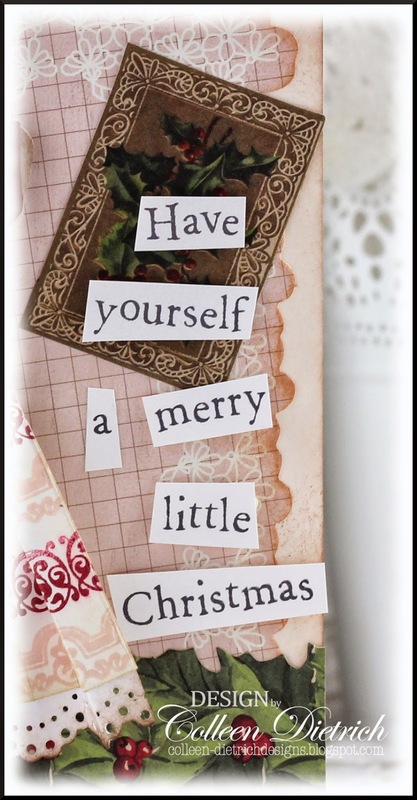 I wanted to give a homespun feel to this card, you know, all cozy. The 'handmade ornament' (some die cuts, satin ribbon, and a magnolia sticker topped with pearls) is just what I'd expect from a rural Christmas. Vermont, perhaps? Ahhh, I am instantly transported to snowy fields and forests, with wood smoke coming from chimneys of log cabin homes. Sounds good to me. I'd really better get a leg up with my Christmas cards. Once September rolls around, it's a quick slide to that holiday. Hi there! 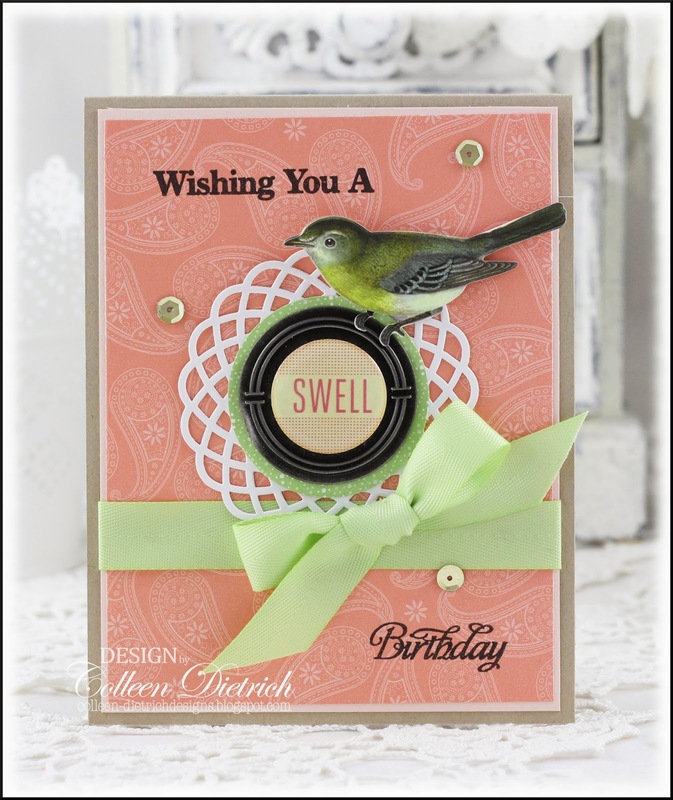 Sharing a birthday card with you today, and it features a bird. 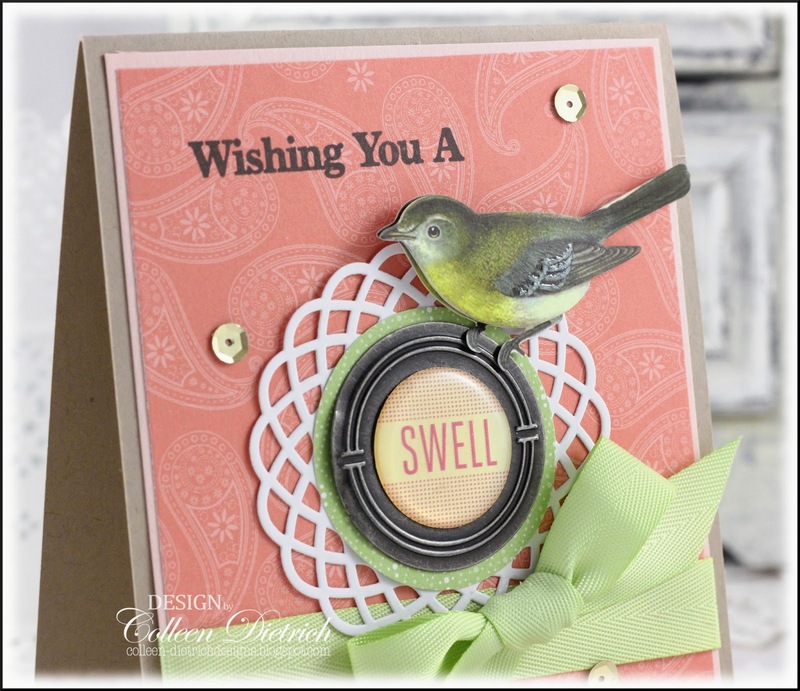 I have come to know SO many stampers who love birds, that I could make a dozen of these and still not have enough to go 'round! I'm trying to use up my stash of American Crafts metal badges, and this one is really cute. (You can see another card using an AC badge here.) The K & Co. birdie is perched on its edge, which I layered onto some patterned paper and then a doily die cut. I used matte gold sequins bought at MJ Trimming in New York City back at Christmastime. I hope you all have a 'swell' day! 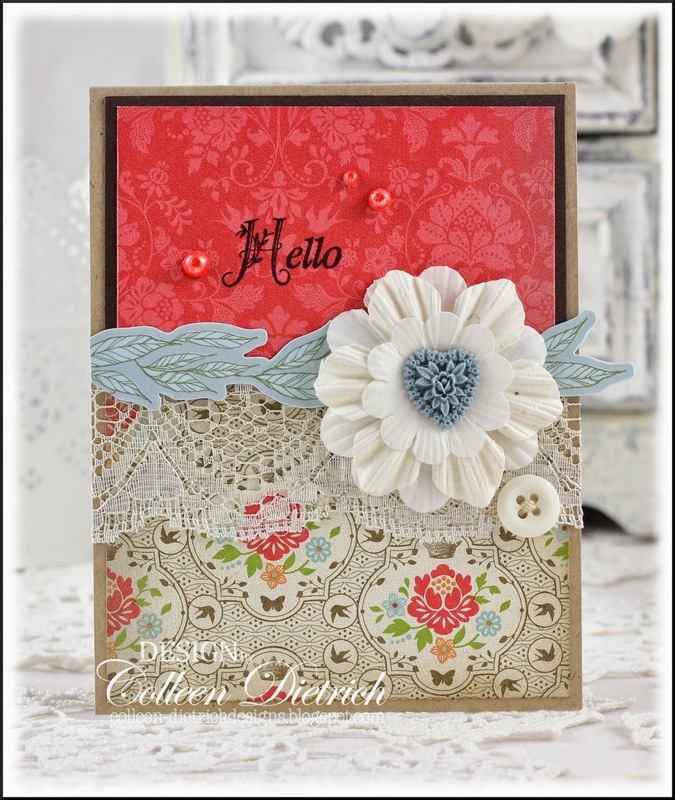 Labels: American Crafts, Birthday, Inspired by Stamping, K and Co.
Hello everyone! 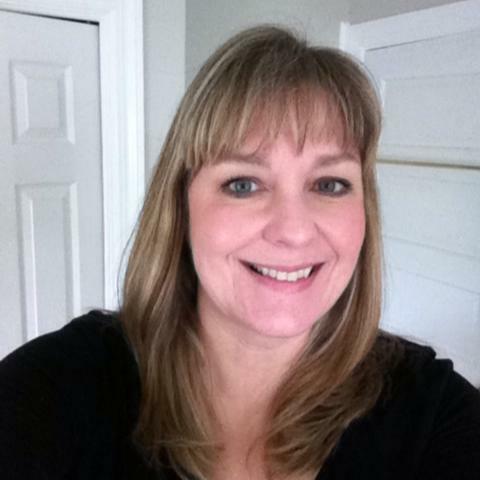 It's time for a new sketch at Seize The Sketch challenge blog, and our hostess is Mona Pendleton. My card feels very dainty, if I had to describe it in a word. The delicate font of the sentiment, the light and airy lace, and finely-detailed patterned papers make it seem very feminine, indeed. 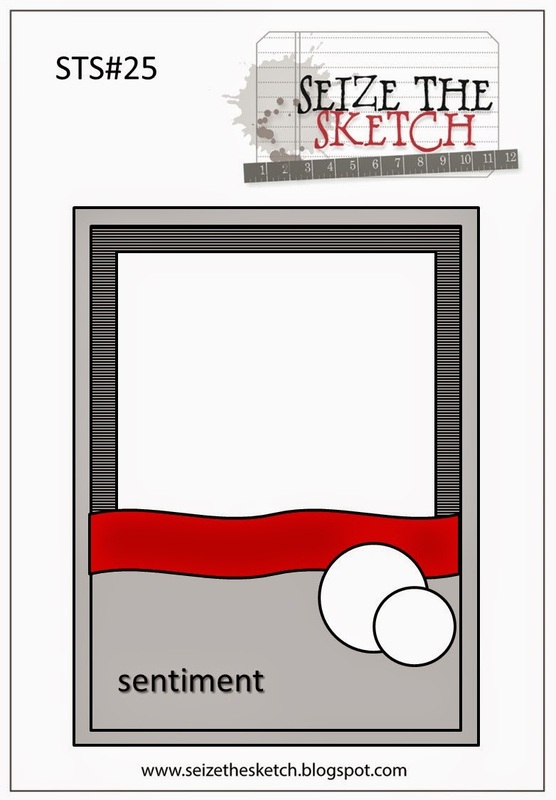 Upon writing this blog post, I see that I did not place my sentiment properly, according to the sketch. Oh well! Better send the card police after me! 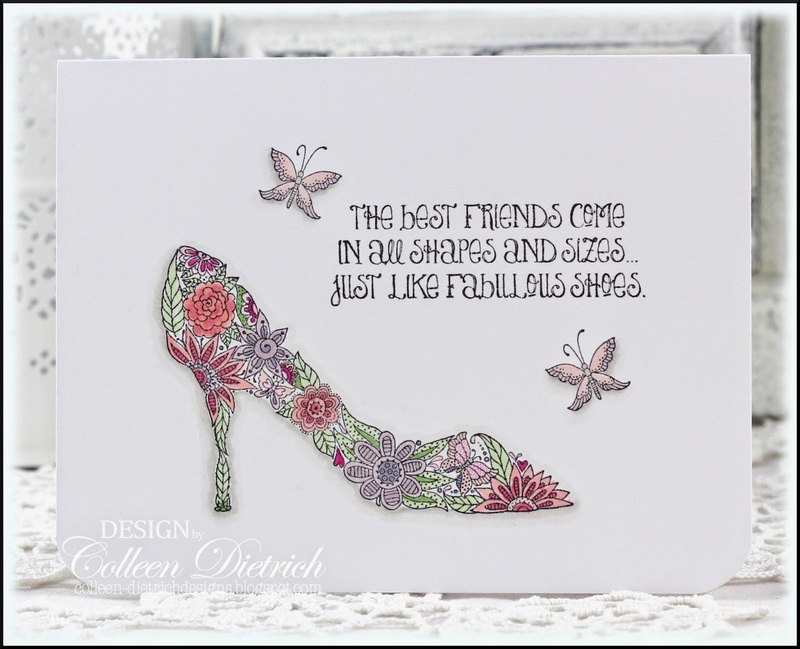 Thanks to the Clearance Rack at Stampin' Up!, I had bought the Everyday Enchantment designer series papers for a song. The colors in the papers prompted my color scheme. There were no red pearls in my stash, so I used a red Copic marker to customize a white one. Super easy to do; just allow enough time to dry before adhering to your project. 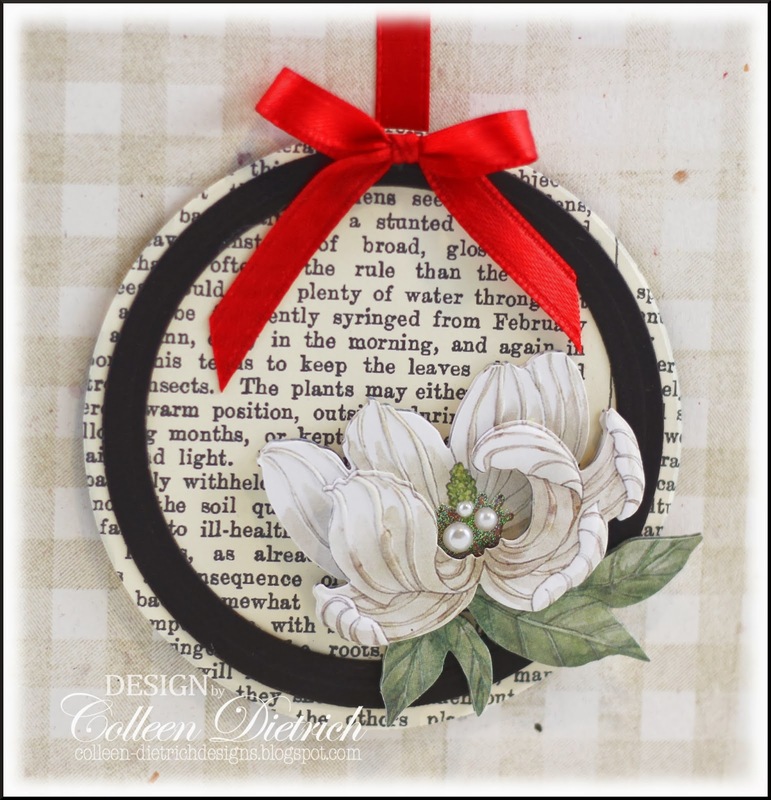 The focal point was created with a few layers of paper flowers (Prima), topped with a Webster's Pages Whimsy heart. Sure hope you are inspired to join us! The challenge lasts two weeks, and you can find all the details HERE. Mind if I share? 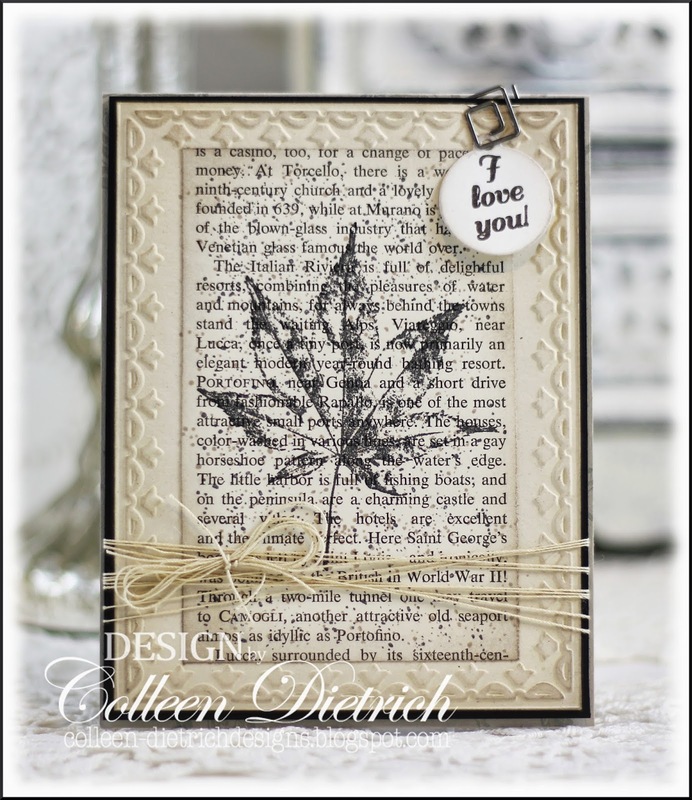 I was tickled to find my pirate card from March 2013 featured over at Paper Crafter's Library recently! You can see the Nautical-themed post HERE. Thanks to Aliya White, who wrote the article and kindly asked my permission to use the card. This is my second post for today. Please click here for a Pair of Retirement Cards. 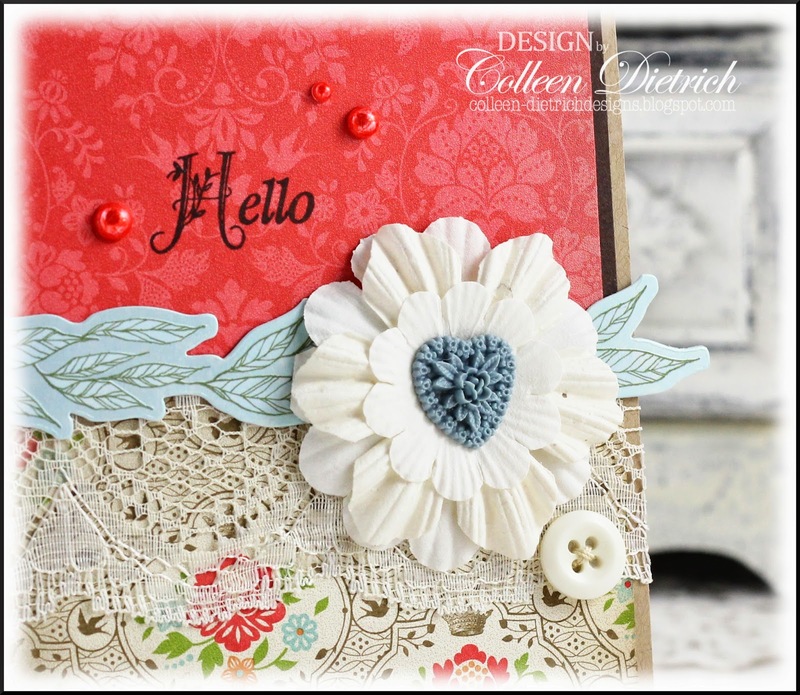 The point of this card was to play with a new-to-me background stamp by Stampers Anonymous/Tim Holtz - Distressed Floral. Isn't it gorgeous? 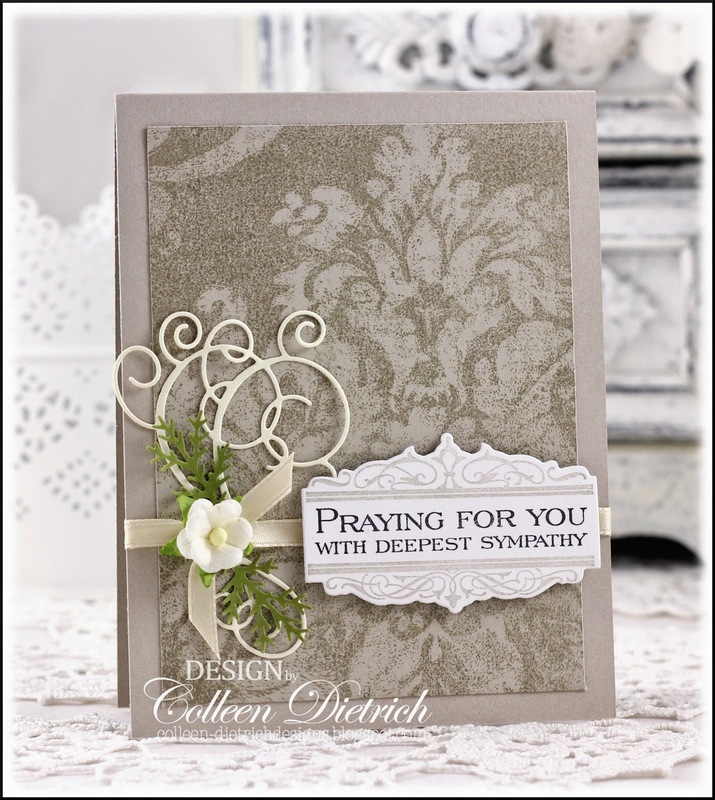 The Boutique Borders: Sympathy die and stamp from Papertrey Ink made a good pairing with the background, I think. Yesterday I photographed 24 cards!! Yikes, that's a lot of photo-editing facing me! It'll take me some time. I tend to do mine in batches, sitting for hours in front of the computer, banging out a bunch at once. How do you do yours? One at a time, or a group of them? Hello everyone! I realized a short while back that I had zero retirement cards in my stash. Thought it would be good to have at least a couple on hand -- and one of them already went to my father-in-law. His is the second one. But I'm sure you could guess that =D. 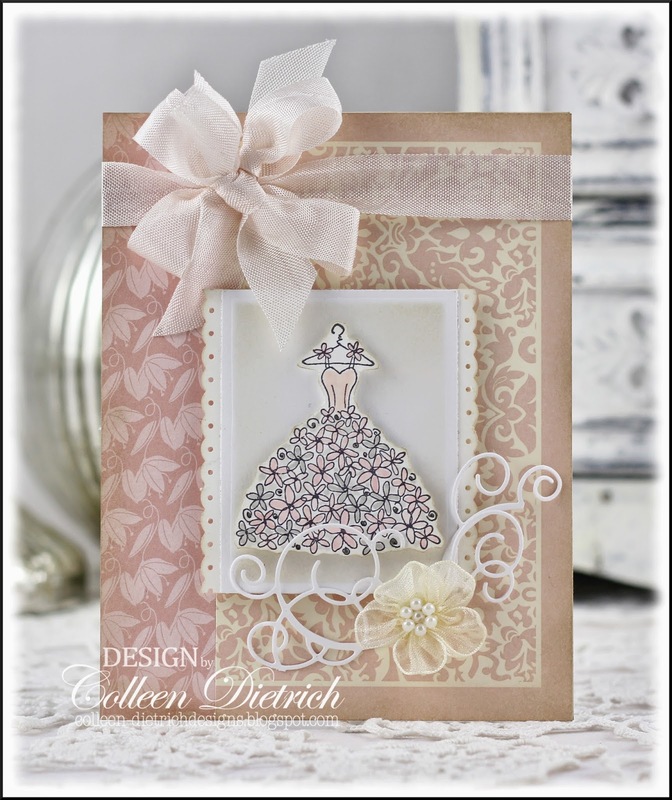 The girly one above makes great use of skinny scraps of patterned papers. Couldn't we all make loads of 'em by doing this?? 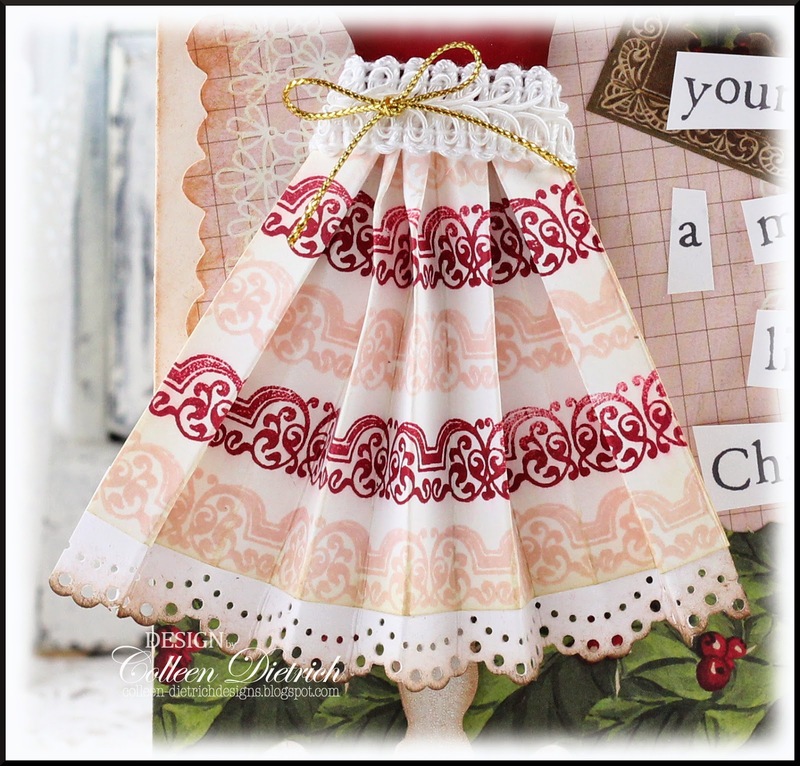 What crafter doesn't have skinny scraps! And now, the more neutral / masculine card. My inspiration jumping-off point was this badge from American Crafts. Reeeeallly wish they had printed the word 'relax' in a bolder color. It's so pale! But I took my color scheme from it, and grounded it with gray cardstock to tie in the color of the metal. 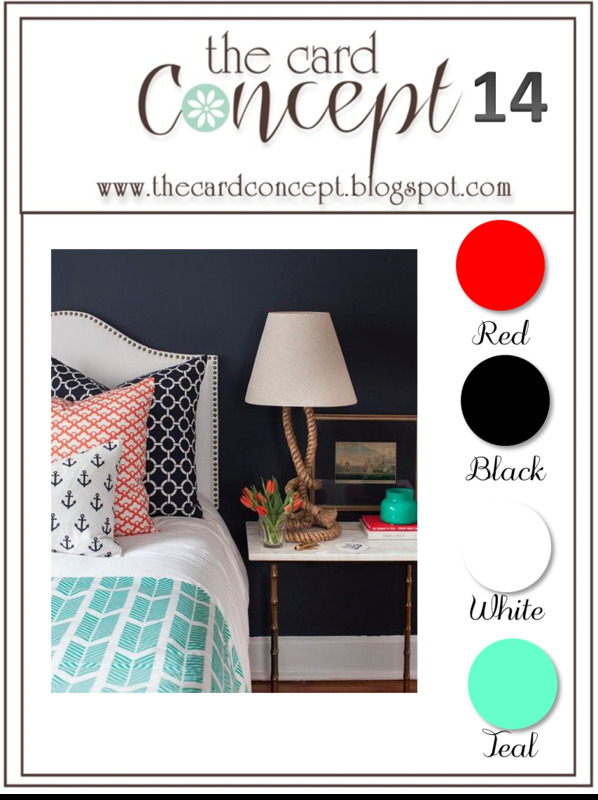 The green is an accent to help liven things up. It seemed too sleepy with just the blue/yellow/gray combo. 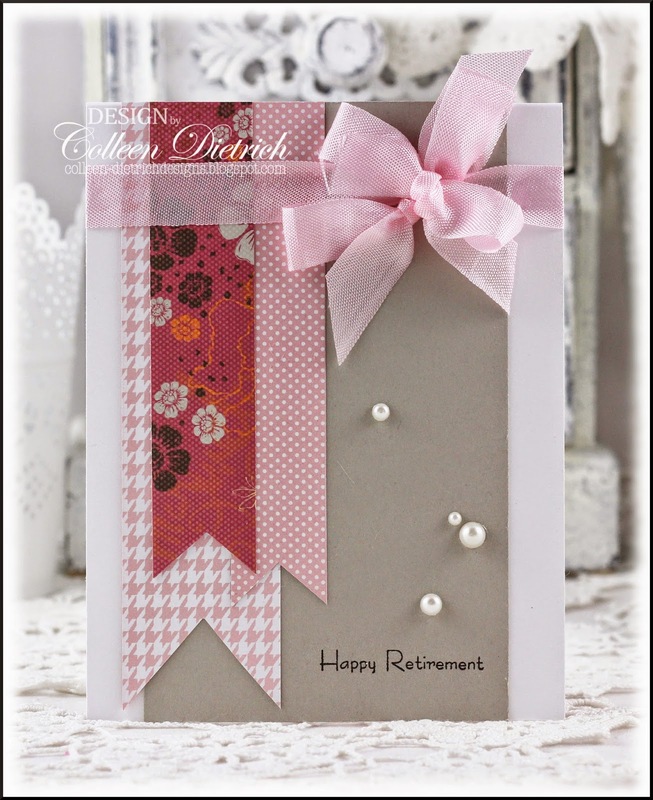 Hope I've inspired you to make some retirement cards for your stash. Thanks so much for your visit today! Oooo, I'm rather liking a bold card once in a while! The color combo for the current challenge pushed me out of my comfort zone a bit, and that's a good thing. 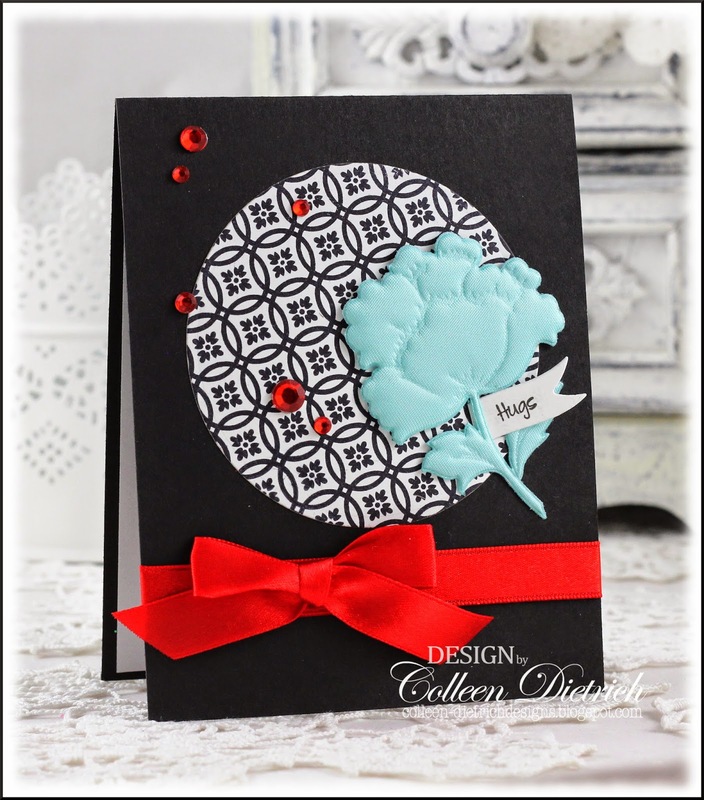 When I made my initial card for challenge #14, I had the Punched Tin background stamp from Market Street Stamps still lying on the table. I put this one together that same day. Actually, I like this card better than the first one! If you'd like to play along with us, click HERE for more details on the challenge. Christmas in July! How about a Christmas card to make us feel a little cooler? I made this one a long time ago for a publication call, but it was not chosen. It's okay: I am so happy to share it here! 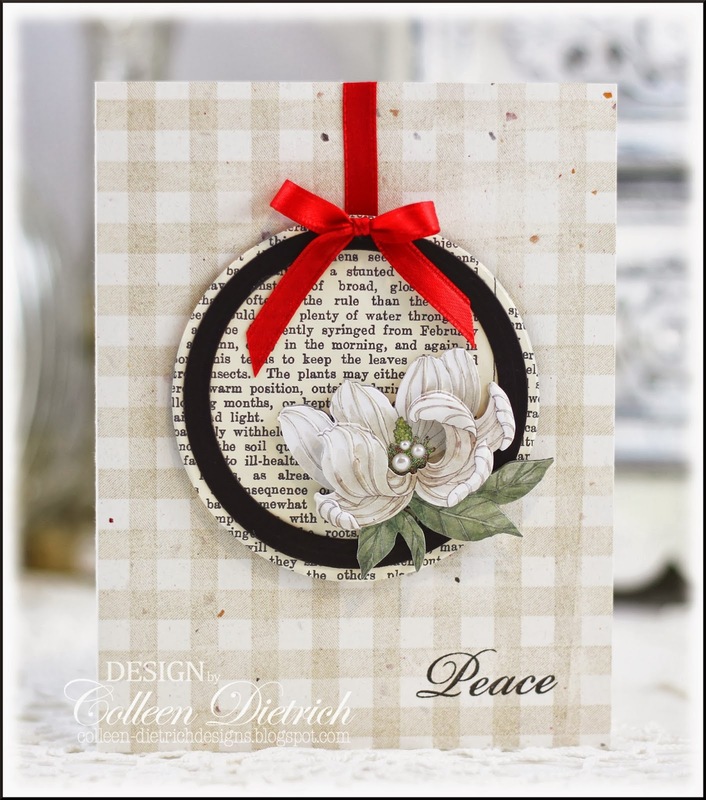 It also gives me a chance to play for the first time in a Virginia's View challenge: Die Cuts. This festive scene was so fun to create. 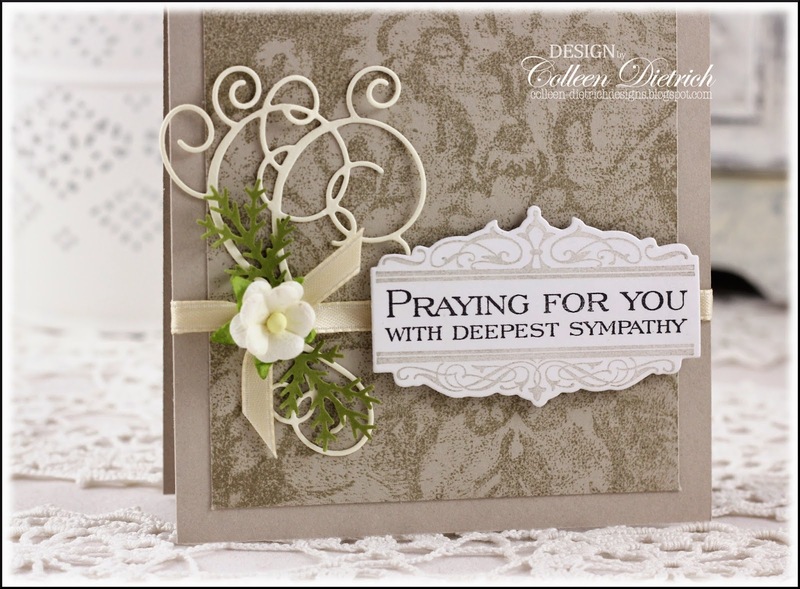 I used a Purple Onion Designs sentiment, and cut it apart, ransom style. Behind it are a few die cuts from Anna Griffin, K & Co. and Colorbok. 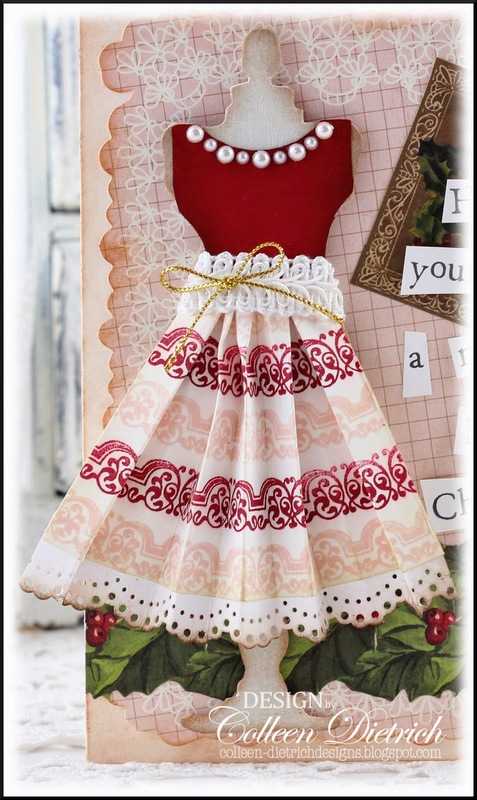 I have my friend Carol to thank for this fabulous Sizzix Sewing Room Dress Form, which was die cut in chipboard. I painted it with Ranger Picket Fence Crackle paint and when it was dry, distressed the edges with ink. The red top was hand-trimmed to fit, and pearls were added. Stamp Bijou Borders / Technique Tuesday on a rectangle of paper with two different inks (rose and cherry), then ink the edges. 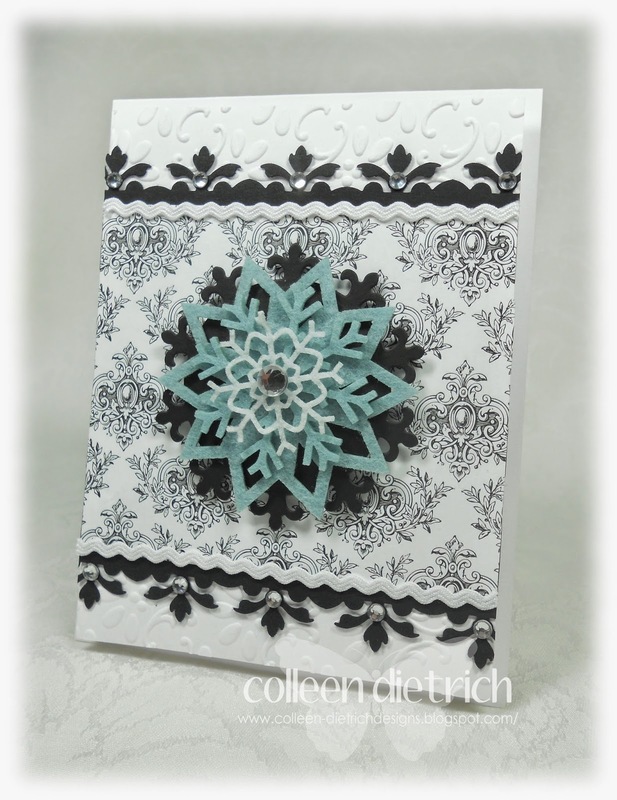 Punch a white strip of cardstock with the Doily Lace punch / Martha Stewart. 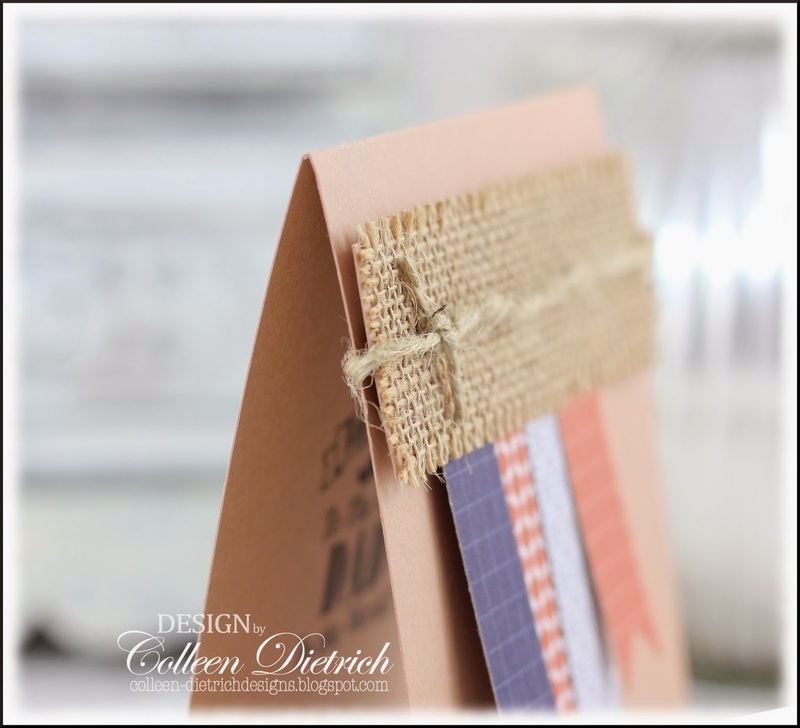 Ink scalloped edge, and adhere to the underside of the border-stamped rectangle. Using a scoring board - or just a ruler and bone folder or stylus - score lines every 3/8". Begin folding / pleating the piece in accordion fashion. When finished pleating, gather top portions together, filling craft glue between each fold. Let dry. Adhere to dress form with craft glue, and cover the top of 'waist' with ribbons or trims. Hello, friends! It's been a while since I sat at this keyboard to blog. There were many posts scheduled ahead of time lately, and now I am coming to you 'live' for a change. 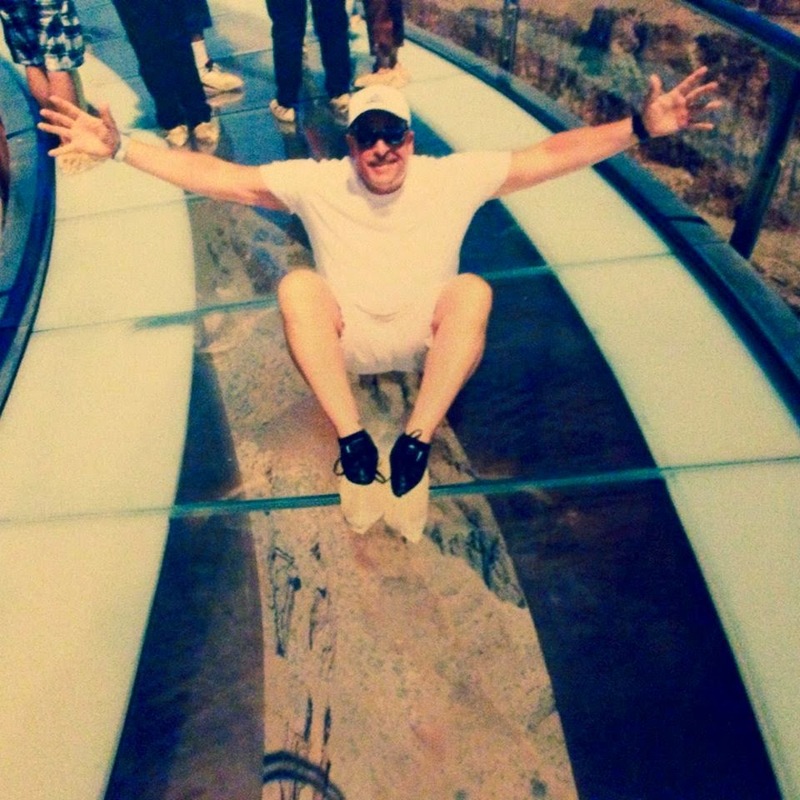 =D At the end of this post, I'm sharing some pics from our recent Las Vegas vacation, but first, I'll start with the cards and a big THANK YOU to my new subscribers! I am delighted that you like my stuff enough to sign on, and hope I will continue to inspire you. Long post alert -- I am feeling very chatty today and have many photos to share! A while back, my friend Rebecca sent me a whole bunch of goodies, just because, and the Stampin' Up! set, Fabulous You, was in the box. Fiiiiiinally, I inked up this adorable shoe and started with a muted color scheme. I outlined the butterflies and the shoe with W01 and W00 Copic markers to give a subtle shadow. After a pastel version, I pumped up the colors. Entering the above card at CASology: 'Glow'. These colors are so bright I can see the Chiquita Banana lady wanting to wear it! I learned how to merge two pictures with my photo-editing software (GIMP - it's very powerful, and it's free), so I could see the two shoes side-by-side. It looks like I just sat the cards together in one pic, doesn't it? happy dance! Family selfie, first night in Las Vegas. We saw an amazing show by David Copperfield. I didn't know that he is from New Jersey, too! We stayed at the BEAUTIFUL Venetian hotel. Amazing gilt work and frescoes lined the ceilings. I never tired of seeing the beauty in our hotel. Even the pools at our hotel were amazing. This one looks like an ancient Roman garden. My sister-in-law is really into succulent plants, so I took this shot for her. Inside the Venetian are shops that make you feel as if you are outdoors, but all in air-conditioned comfort. We ate lunch at Canonita. Yummy, yummy fish tacos and fantastic spicy salsa. There's a gondola ride inside the hotel, and another outside. This one is indoors. We ate another lunch at Otto, owned by chefs Mario Battali and Joe Bastianich. Oh, my goodness, the food was divine! One night, we took the monorail to the Paris hotel for dinner. We did not go up into the Eiffel Tower: it was late, we were still on East Coast time, and had been running all day. Oh, and the line to go up into the tower was pretty long. The Strip is really something to see at night, with all those lights. Hubby and I in front of the Hoover Dam. We stopped for 20 minutes on our bus tour to the Grand Canyon. We passed through a 'forest' of Joshua trees. These looked like cactuses to me, but they are trees. If you cut into a trunk, you will not see rings like with average trees. The way to roughly determine how old each one is: count the branches and multiply by 10. Can you see the eagle, with its wings outstretched, in this rock formation? We visited the west side of the Grand Canyon, where the Skywalk bridge is located. It is located on the land of the Hualapai Native Americans. The red dirt and rocks remind me of Kauai, Hawaii. Can you see a white speck on the top of that one rock pile? That's my husband, daredevil that he is. There's water down there - the Colorado river - but it looks almost the same color as the rocks surrounding it. These black birds (ravens?) rested in a tree on the very edge of the cliff. I used my camera zoom to get this pic. Ain't no way I'm going any closer to the edge! It makes my stomach flip just thinking about it. ;) The birds sat with their mouths open. I'm guessing it's how they perspire. Here's the Skywalk Bridge, hanging 4,000 feet above the base of the Grand Canyon. Hubby is in the white shirt with his arms raised. It has a clear glass floor so you can see to the bottom. Um, no thanks. Sitting with his booties on, 4,000 feet on top of the Canyon. The Bellagio hotel, with the fountain show beginning. Inside the Bellagio hotel lobby, a ceiling full of glass poppies. The Bellagio has BEAUTIFUL gardens indoors. 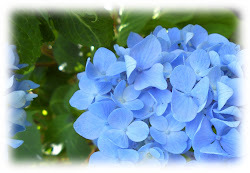 I spied these hydrangeas. Love! A large hand, made from greenery. A whimsical, larger-than-life garden tool and poppy. A cute snail, covered with flowers. Inside the Bellagio, a French pastry shop features a train covered entirely in candy. From the Bellagio, it was another great shot of the Eiffel Tower in its entirety. Thank you so much for your visit, and letting me share my vacation pics!